Tannery court is a prestige office development combining the needs of modern day business with a classic building and modern new foyer with a central core incorporating ladies, gents and disabled toilets and a new passenger lift. The building contains many distinctive individual features, including the Grand Staircase entrance which shows how the character has been painstakingly retained. 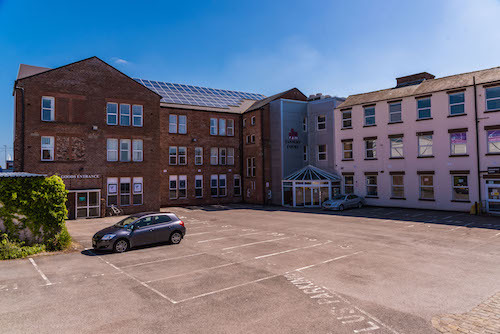 Tannery Court offers a central location in Warrington at the heart of the thriving business community. A range of office sizes are available from 400 sq ft to over 17,000 sq ft (short term leasing arrangements possible). All areas have quality furnishings and fabrics as appropriate and car parking is provided in an attractive courtyard setting.